From the earliest evidence of human creativity to the birth of the first modern graffiti writer, street art has shown a remarkable ability to change the world. These moments have had long-lasting and profound repercussions, deeply shaping the artists, issues, outputs, and interactions of today. 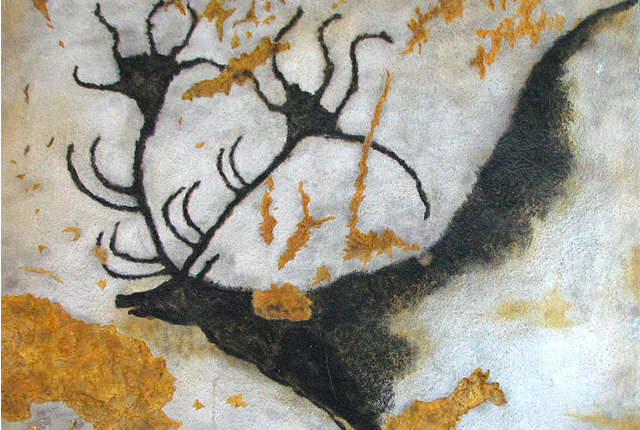 The caves at Lascaux, in southwestern France, have almost 2000 images painted on their ceilings and walls, dating back to circa 15,000 BCE, a.k.a. the Stone Age. (And, yes, we are fully aware that caves don’t have streets.) A mix of abstract signs, people, and animals, the cave paintings demonstrate the very human need to use art to both make sense of and manipulate our environment, two of street art’s varied purposes. During World War II, the phrase “Kilroy was here,” usually accompanied by a drawing of a bald figure with a big nose, began appearing wherever US servicemen were stationed (even the VIP bathroom at the Potsdam Conference, where it caused Stalin to freak out). 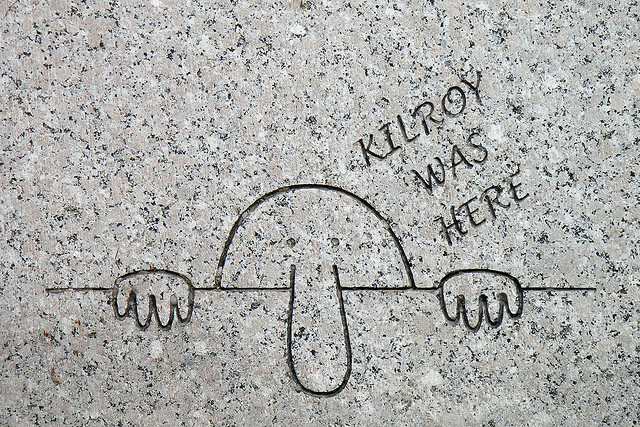 While the origins of the phrase remain somewhat murky, Kilroy was likely a real person, and his declaration constitutes an early instance of tagging. Plenty of people scribbled their names in obscure places before Kilroy got there, but his tag was the most widespread. In 1953, Darryl McCray is born in North Philadelphia. 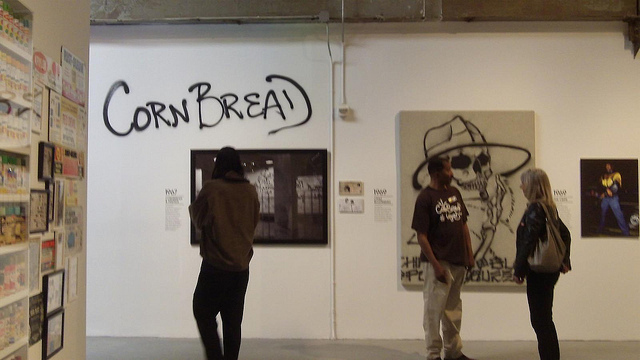 Fourteen years later, Cornbread, considered by many to be the first modern graffiti artist, was born. To win the heart of a young lady, McCray scribbled “Cornbread loves Cynthia” in several places she’d see. It worked: they dated until she moved away. More importantly for our purposes, Cornbread almost single-handedly took the idea of tagging away from gangs, who’d been using signatures and visual motifs to demarcate areas, and transformed it into an attention-grabber available to anyone. At the height of his fame in the 1960s and 1970s, no target was safe from Cornbread’s tag, not even an elephant at the Philadelphia Zoo or the Jackson 5’s private 747. A photographer since the age of five, Martha Cooper started taking shots of kids spray-painting around the Lower East Side in the 1970s. But it wasn’t until she met Donald White, better known as Dondi, that she truly found her subject. 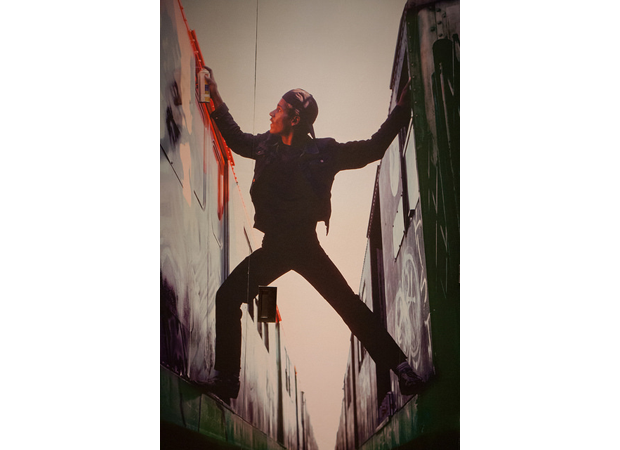 Her photograph of Dondi painting as he balanced precariously between two subway cars, included in her seminal book Subway Art (1984), co-written with Henry Chalfant, just might be her most famous. A self-proclaimed “ethnographer,” she seeks to capture both the production and the products of an ephemeral form, and succeeds. She treats her subjects seriously and, as a result, her viewers do too. Beginning in 1981, rats crawled like crazy around the streets of Paris, courtesy of Blek le Rat, considered to be the father of modern stencil art. “My stencils are a present, introducing people to the world of art, loaded with a political message,” he told The Independent during a 2008 interview. “This movement is the democratisation of art: if the people cannot come to the gallery, we bring the gallery to the people!" 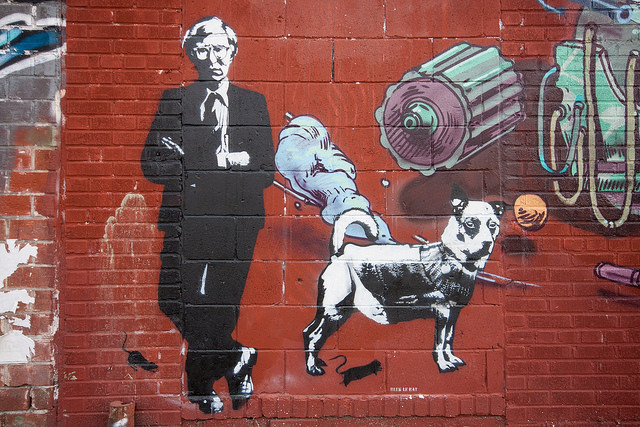 His stencils’ blend of dark humor and political commentary has impacted scores of artists, including Banksy and gilf!. 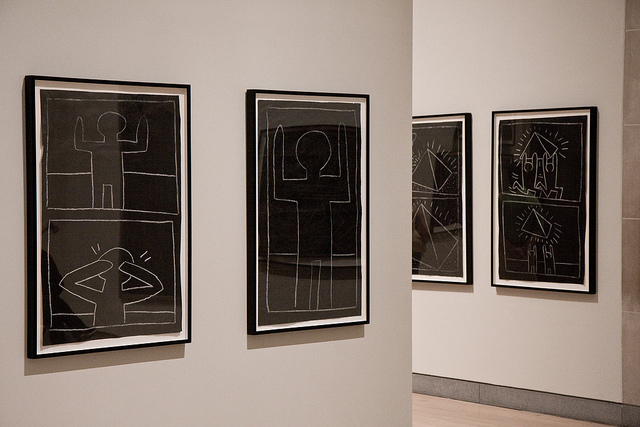 Keith Haring wasn’t the only artist to make the leap from street to gallery during the late 1970s and early 1980s—indeed Jean-Michel Basquiat arguably had even more of a meteoric rise from graffiti writer to sought-after painter—but Haring was definitely one of the most prolific and remains one of the most popular. In 1980, he began doing quick drawings in white chalk on the black matte paper found in New York City subway stations. These “subway drawings” helped him hone his signature style of squiggles, figures, and symbols, leading to shows at major museums, large-scale public works projects, and great fame. One of the earliest documentaries devoted to hip hop culture and urban art, Style Wars examines the intersection among graffiti, rapping, and breakdancing on the streets of New York City. 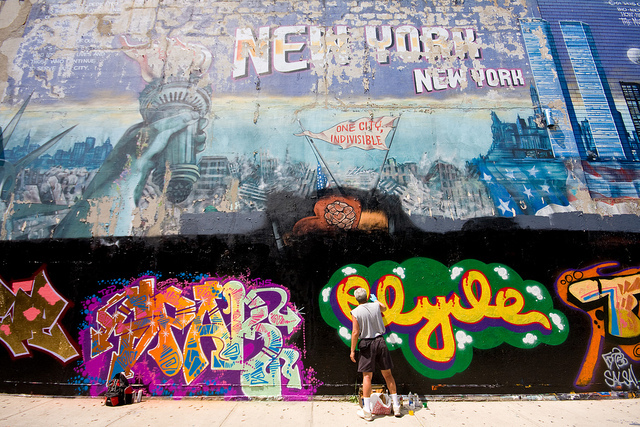 It memorably portrays graffiti writers who “are not motivated by a desire for money [but who] want to make their mark on the city they live in and transform it into a canvas, into a work of art,” as New York Times film critic A.O. Scott explained when re-evaluating the film in 2009. Completed in 1982, it first aired on PBS in 1983, and has gained a tremendous cult following in the decades since. 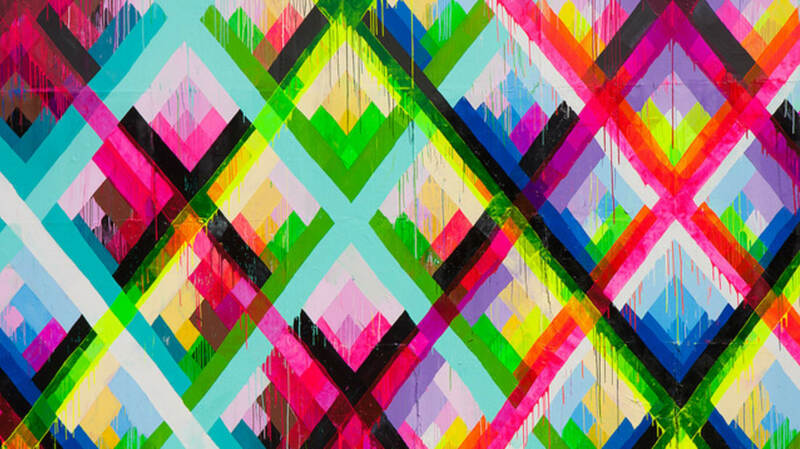 In the 2000s and 2010s, street art went legal. Huge city-wide festivals in Stavanger, Norway, and Melbourne showed city officials that street art need not be criminalized—in fact, it could be encouraged in a way that benefited both the city (tourism, ornamentation) and the artist (exposure, safe circumstances in which to execute large-scale or intricate pieces). Today, cities from Atlanta to New York to Łódź to Cape Town have sponsored festivals of street art, designated significant areas as open-air legal galleries, and generally helped a multitude of artists gain exposure. In the aftermath of September 11, Marc Schiller walked around taking photographs of the art he found along the streets of his Soho neighborhood. 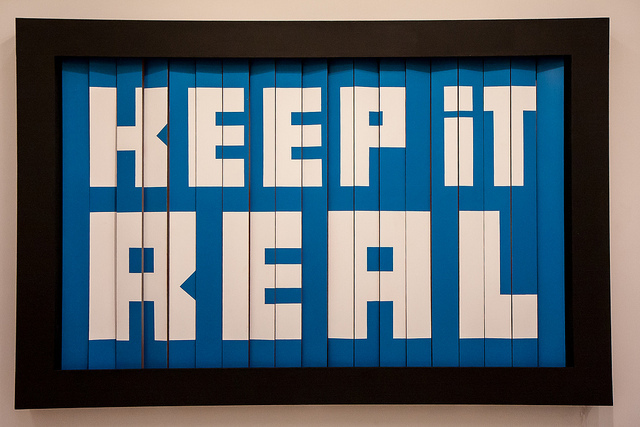 In 2003, Schiller and his wife, Sara, created Wooster Collective, one of the first online celebrations of street art. The blog blossomed, and other websites devoted to promoting and cataloging street art around the world sprang up. Today, amateur and professional photographers alike post their street art finds to Flickr, Instagram, Pinterest, and elsewhere, just about every artist worth his or her Sharpie has a website, and mainstream media like the New York Times and the Wall Street Journal regularly cover street art, largely due to the influence of Wooster Collective.